What originally began a Christian feast day and a day to commemorate Saint Patrick and the arrival of Christianity in Ireland during the 17th century, has been transformed into an annual event with parties and celebrations occurring across the globe. On March 17 every year, the world is coloured green for St. Patrick´s Day and to celebrate Irish culture. Wherever you´re from and wherever you call home today, there is a St Paddy´s Day party happening. There are allegedly 39.6 million Americans who claim to have Irish heritage. That number is nearly seven times larger than the current population of Ireland of 6.3 million. One such place to find St Patrick´s Day revellers is in Chicago. Every year, since 1962, the Chicago River is dyed a delightful colour green. Though hotly debated, citizens of Savannah, Georgia - home to the oldest St Patrick´s Day parade in the US, which dates back to 1813 - say that the idea to dye a river green was their idea. Regardless whose idea it was, Chicago, with its annual St. Patrick's Day Parade through Grant Park, sure knows how to celebrate. The Manchester Irish Festival is said to be Europe's largest and runs, not only on March 17 but throughout March. From traditional Irish foods, Irish language classes, traditional dance, live entertainment, markets, and packed pubs across the city, you can´t go wrong celebrating at the Manchester Irish Festival. From the 16th until the 19th of March, Paddy’s Fringe Festival, featuring a series of Irish related cultural, literature and arts events, takes place in the Norwegian capital. Don´t miss out on the buzzing Oslo St Patrick’s Day Parade which sees participants dressed up as St Patrick and leprechauns. When thinking of St Patrick´s Day celebrations, Paris isn´t likely to be the first thought in anyone´s mind. However, expats and locals flock to Irish pubs across the city as well as to witness one of the lively street parades. Best yet, famous Parisian landmarks are given a green makeover. Be sure see the Sacre Coeur in Montmartre, Moulin Rouge, and the BVH building in the Marais quarter all coloured green. Perhaps the last place on earth you´d think of concerning St Patrick Day, Tokyo, however, has been celebrating the Irish holiday for over 25 years. The Irish Network of Japan hosts a parade of dancing leprechauns, marching musicians while the “I Love Ireland Festival” at Yoyogi Park includes traditional musical and dance performances, as well as a host of Irish foods such as stew and steamed oysters. Aside from Dublin itself, the biggest St Patrick´s Day celebration in the world is found in New York City. 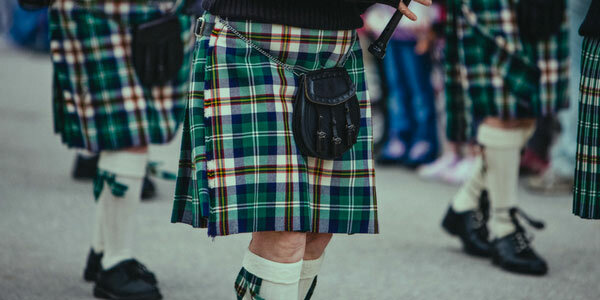 First held here in 1762, the annual parade along Fifth Avenue includes 150,000 participants and two million spectators with over four hours of marching bands, bagpipes, Irish dancers and more. Of course, you could always join a pub crawl and drink a Guinness or three in one of the plethora of Irish pubs found throughout the city. Wherever on the globe you´re celebrating St. Patrick´s Day this year, at FerratumBank, we say sláinte! As a dedicated mobile bank, we believe in simplicity. We know how tricky it can be for expats to open up a bank account when arriving in their new home. Our sleek mobile app is loaded with expat-friendly tools allowing you to do real-time transfers which makes sending money back super simply. You can also manage up to seven different accounts each with its own foreign currency. Goodbye foreign exchange fees, with a FerratumBank account, you can keep 8% more money in your pocket compared to traditional banks or exchange bureaus. Put another way, think of it as making a purchase of €100 and keeping an extra €8 in your pocket.